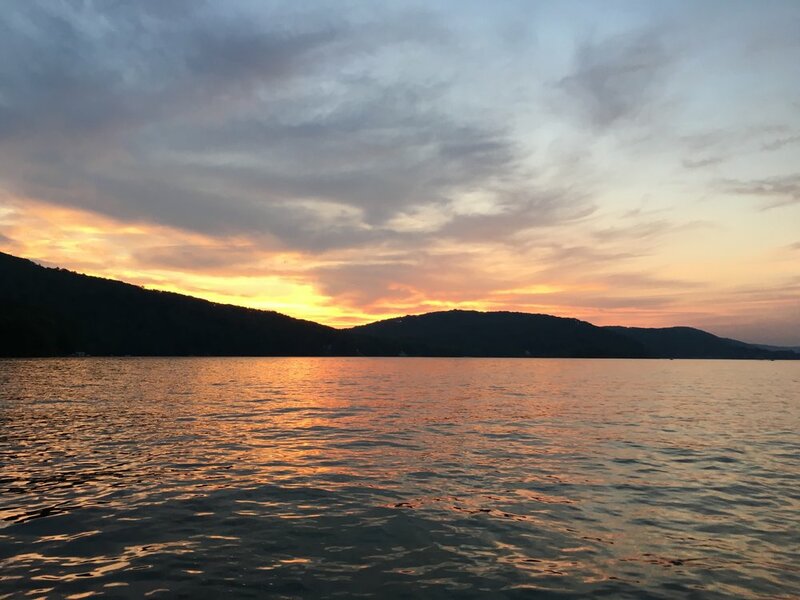 Started by two local guys who decided to share their passion for watersports with Connecticut’s greater Candlewood Lake region, Lakeside is based on two very important principles: Safety and Affordability. It is our mission to provide every customer with fun-filled summer memories. Come take a ride behind our boat and experience what it feels like to glide across the water with nothing but a smile on your face! Safety is our number one priority. Boating and watersports require quite a bit of preparation and responsibility. It is our goal to not only provide you with the best possible experience on the water, but also ensure the safety of everyone on board. All customers will receive proper instructions and top notch, Coast-Guard approved safety equipment. Rest easy know that your instructors have 1,000s of hours of boating and teaching experience combined with lifeguard and EMT training. Our other main focus is promoting affordable watersports. We understand that enjoying the water can become expensive very quickly. The boat alone can be a huge expense, which does not even include the cost of gas and equipment. These prices will scare just about anyone away from the watersports lifestyle. Here at Lakeside Watersports, we intend to provide all kinds of summer fun, without having to break the bank. Mike grew up on Candlewood Lake and has been riding in boats ever since he was a baby. He started to wakeboard while in middle school and has not looked back since! After teaching friends and family on Candlewood Lake, he began working at a summer camp in Maine teaching kids how to wakeboard and waterski. Mike worked his way up to the Program Director position for the entire Ski program, where he was in charge of a 14 person staff, two boats and two jet skis. At this camp Mike perfected his teaching method and has been very successful at getting just about anybody up and riding. Not only has Mike worked at a summer camp in Maine, but he has also worked for a watersports company in Orlando, Florida. While in Orlando, Mike came up with the idea for Lakeside Watersports. He realized the need for a watersports service provider in the northeast, and his history with Candlewood made it a perfect spot to make this idea a reality. As a graduate from the University of Connecticut with a Masters degree in Education, his career as a High School Social Studies Teacher allows him to not only teach kids in the classroom, but to also teach people out on the water during the summer months. Mike’s ultimate goal is to help others succeed both in the classroom and behind the boat. Chris has the privilege of not only being good friends with Mike, but he is also one of Mike’s very first wakeboard students. Mike introduced him to the watersports culture more than ten years ago, and ever since then he hasn’t been able to get enough of it. Early morning sessions on Candlewood have become part of his summer routine. After becoming proficient in wakeboarding, Chris began sharing his passion with friends and family, which proved to be a truly rewarding experience. As you can see, he is the business end of this partnership. Chris graduated from the University of Connecticut with a degree in Business Management: Entrepreneurship. A former lifeguard and swim instructor, while in college he moved into the corporate world, where he gained valuable business skills. His schooling and professional experiences have given Chris the ability to organize the business operations of Lakeside Watersports LLC. Chris is excited about bringing watersports to Candlewood Lake in Connecticut. He has a true passion for helping people and having fun…Two things that Lakeside excels at! Vintage Summer Resort: People have been visiting Lake Winnipesaukee as a summer destination for well over a century. Winter Fun: Gilford is home to Gunstock Mountain, a popular winter ski resort. Hit the slopes before the summer season kicks off. The Native American name Winnipesaukee has two meanings, “Smile of the Great Spirit,” or “Beautiful Water in a High Place.” We are just fine with either of these descriptions. Lake Winnipesaukee is an incredibly beautiful destination with views of Mt. Washington in the distance and crystal clear water that you can see the bottom up to about 15 feet. This destination defines what lake living in New England is like. Not only is it beautiful, it is huge! As New Hampshire’s largest lake, it actually ranks as the third largest in all of New England, just behind Lake Champlain in Vermont and Moosehead Lake in Maine. Winnipesaukee Pier Circa December 2018. Future home base of Lakeside Watersports. Our reviews are collected and verified by Genbook. We invite you to read what our happy clients have to say about Lakeside. Here is a sneak peek. "We had never been to Candlewood Lake before and these guys showed us a great time. They were knowledgeable, professional, encouraging, and made sure we all had fun. Slick boat, top notch gear. Can’t wait to do it again!" "We had a great time and hope to return this summer. These guys were very helpful and we definitely recommend this place. Lots of different activities to try between wakeboarding, tubing, etc." "I surprised my husband with with an afternoon of waterskiing lessons for his birthday. We took our two boys and they learned too. I loved seeing the smiles on all of their faces. We now have a new family activity that everyone enjoys!" "We had a great time at Lakeside!! With the help of Lakeside my friend and I learned to wakeboard and got up on our first try! The boat was also so comfortable and clean!!! Had a great time can’t wait to go back!!!" "Had a great time. My only regret is not booking more time… Boat was comfortable and all equipment was clean and in excellent condition." "I could not have asked for more, these guys were great! They had me popping out of the water, and wake surfing within 15 minutes! They offered excellent instruction throughout the entire session which made it easy to pick up." Here are some other places where we would love to hear your feedback.